Anowave is an extension developer for Magento 1.x and Magento 2.x platforms. We provide a wide range of premium extensions for our in-house and public clients. The extensions that we offer extend the capabilities of Magento and provide a bespoke functionality. They also fill some missing gaps in the functionality provided by the base platform and help customers in chosing Magento as prefered ecommerce platform. The extensions that we offer are part of our full range Magento service which includes also a Premium Helpdesk where customers get to speak with actual software engineers and get their issues resolved without hussle. Premium labeled modules also include free installation, confiuration, testing etc. Article publishing via Microsoft Word and Microsoft Live writer directly from your desktop. Anowave is build on top of PHP (Hypertext preprocessor) and MySQL. Anowave is using Smarty as primary template engine. Smarty is a template engine for PHP, facilitating the separation of presentation (HTML/CSS) from application logic. This implies that PHP code is application logic, and is separated from the presentation. Templates typically consist of semantic markup such as HTML. PHP syntax works well for application code, but quickly degenerates when mixed with HTML. Smarty's simple syntax is designed specifically to express presentation. Smarty focuses your templates on presentation and less on "code". This lends to quicker template deployment and easier maintenance. Smarty syntax requires no working knowledge of PHP, and is intuitive for programmers and non-programmers alike. CTI is innovative in-house framework developed by Anowave providing dynamic attributes and properties without sacrificing performance and scalability. The framework implements table inheritance in relational databases such as MySQL thus allowing for greater performance and reduced learning curve. To obtain a personal demo of Anowave, please fill in the form below. Fill in the form below to obtain a personal demo of Anowave. 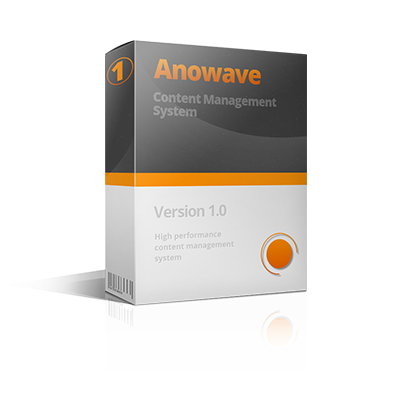 Anowave CMS is designed as in in-house content management system to support Anowave's clients and partners. We do not offer it as a sole product, but as part of projects developed and maintained by Anowave. You can obtain Anowave CMS by selecting us as service provider for your development needs. If you have a project and need info and/or cost estimation, fill in the following form. Below, you'll find a project specific questions. These will help us to better understand your needs and provide the most cost effective solution. Bellow you'll find some technical questions. If you don't understand them fear not and just leave them blank. Do you need brand new graphic design? Focus Doors Controls has requested the development of a brand new website to display company products and services over the Internet. The aim is to create a distinctive and visually appealing site. Project development includes graphic design creation and content management integration to allow for content editing online via secure administration panel. BGE Ltd. is a British company founded in early 2005 with the aim of manufacturing high quality interior and exterior doors, using the skills of the best specialists in the area and the established standards of British management. "Like the Art, the trends in beauty and health, follow the spirit of the Time. Inner beauty is what matters. Self-respect, vitality, wellness and long life – this is what we all want." A luxury design for a luxury client. No more or less. This web development agency focused in development rather then design, chose us as a graphic design provider for their corporate website and many of their clients. Engine4Web has been successfully oursourcing design work to Anowave for several years now. Another high end web development company trusted us for their corporate identity and official web site. We delivered a modern feel and look, driving user's attention to the last detail. Anowave is creating interface design not only for web, but for desktop and applications too. We were involved in building a mobile application interface for weather app. See some mockups below. We have created this mobile application interface for Brandtix - a digital intelligence company. Brandtix focuses on rich media and content applications, combining advanced user interface functionality and state of the art graphics and design. Watch music videos, create video playlist, listen to Radio stations. Enjoy Your stay on Viberoll.com and share the fun with friends. Anowave is focused in content management systems development. We design and develop web content management systems for other development companies and/or our partners. Find below an interface we've designed for our partner. It's designed for drag & drop enabled CMS. Different Ltd. and Anowave worked together to create a memorisable and recognisable graphic design for online IQ tests. We were involved in creating a bespoke brand including CMS implementation, database development, PDF generation, Mass email, Online payment integration and more. Find us on the map below or drop us a message here. Copyright © 2007-2019 Anowave. All rights reserved. Rendered in 0.16 / 0.00 sec. 3.72 MB used.